Tehnology has dramatically influenced our world. It has changed and made the world not only a better place but has also made things easier for humankind. In the home, smart tech has made homes become more than just the roof over our heads with a door and four walls. Nothing concerns an individual in his or her home as the security and the well-being of not only himself or herself but also of those residing in his or her home. Moreover, people are more concerned with the protection of their valuables. Technology has lessened the worries of security issues through providing security gadgets that ensure that one’s home is kept secure. Some of these security gadgets are such as sensors, cameras, motion detectors as well as alarms. Also, security gadgets have been made to become more in tune and more pleasing with an individual’s overall décor in the home. Nothing has taken the smart home technology market by force and by a storm as the voice gadgets. This technology began around two years ago, and although many thought it would not pick up, it has proven quite the contrary that people are in more need of such gadgets. This given innovation has done more than bring a revolution in the American homes. It has also produced a change of mind in the American consumers who have shown more significant need for voice gadgets. It has become evident that years down the line the home will be automated to become hands-free thus, creating the ultimate home experience. When moving into a new place, many people consider the kind of décor that will best fit not only their taste in life but also will be a representation of them. Décor plays a vital role since it creates the type of experience that every individual not only needs but also desires. Therefore, it is no surprise that those involved in home smart tech has focused on ensuring that they create home automation tools that blend more with an individual’s décor in comparison to the traditional devices that rarely fit with any home décor. This trend continues to impact the home automation process significantly. Many people have never been a fan of doing chores, let alone dispensing their home chores. Furthermore, most people tend to view home chores as a tiring process that needs to be simplified as it is time-consuming. Smart tech has continued to develop and grow regarding the simplicity it has created in carrying out home chores such as cooking, washing clothes and general house cleaning. Established home appliances manufacturers have created devices that are both easy to maintain and easy to control. This has dramatically changed the mentality of people about home chores to a more fun experience. Who would have thought that technology would ever have a significant influence on the way that we decorate our homes but also on how we maintain and protect it? 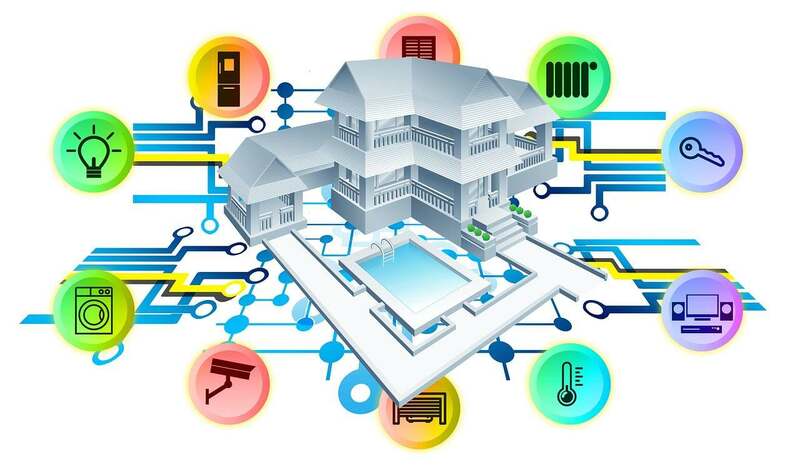 Smart home technology has continued to experience significant changes. Everyone should make a point of investing in smart home tech.